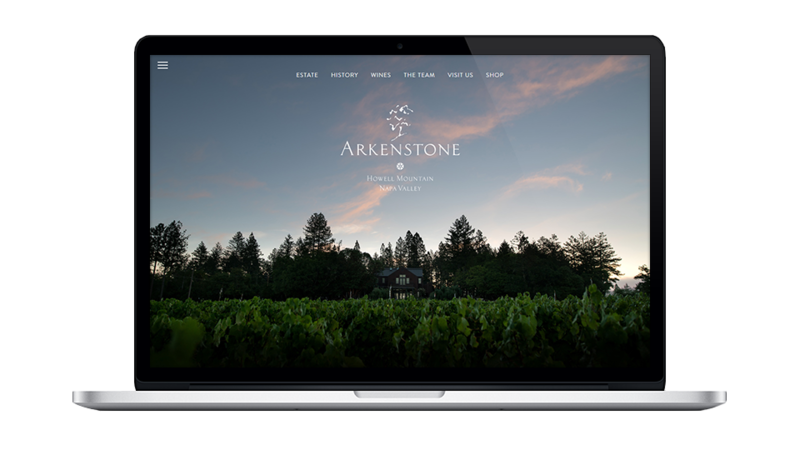 Arkenstone is an estate winery located on the Western shoulder of Howell Mountain. 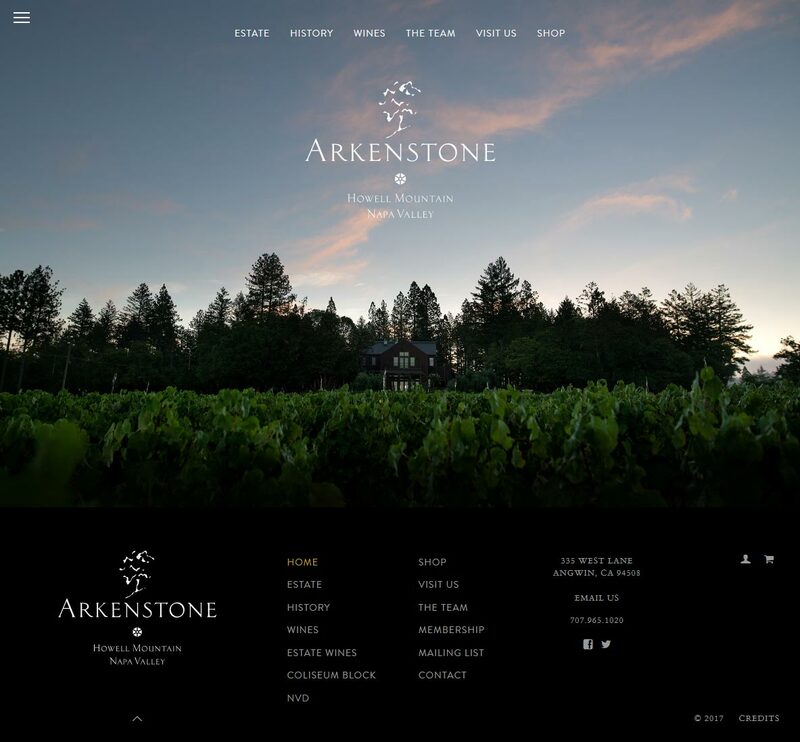 Their 13 acres of vineyard, overlooking the Napa Valley to the West and Bell Canyon to the East, are split into 22 blocks planted to Cabernet Sauvignon, Cabernet Franc, Merlot, Petit Verdot, Malbec, Sauvignon Blanc, Semillon and Syrah. Elevation ranges from 1,400 feet to 1,650 feet, with a mix of steep hillside and rolling level vineyard. The majority of the vineyard was planted in 1998 and the entire vineyard has always been, and continues to be, organically farmed. 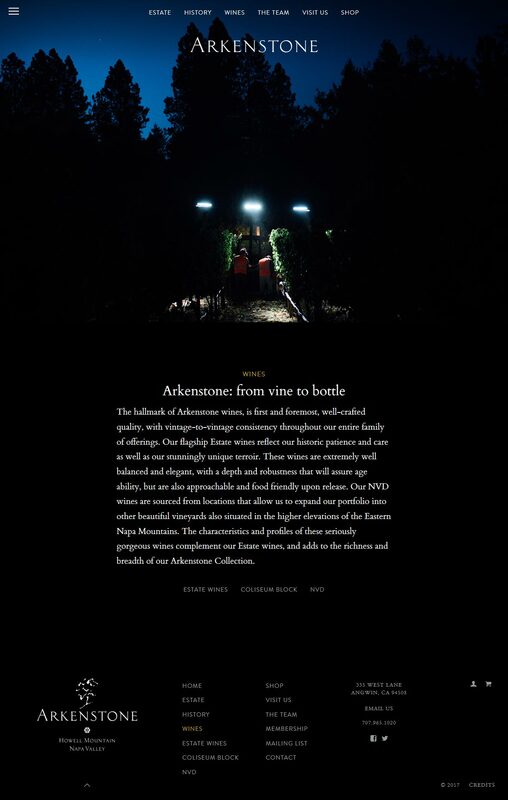 Tell the story of the winery and vineyard through high-impact photography and engaging narrative. 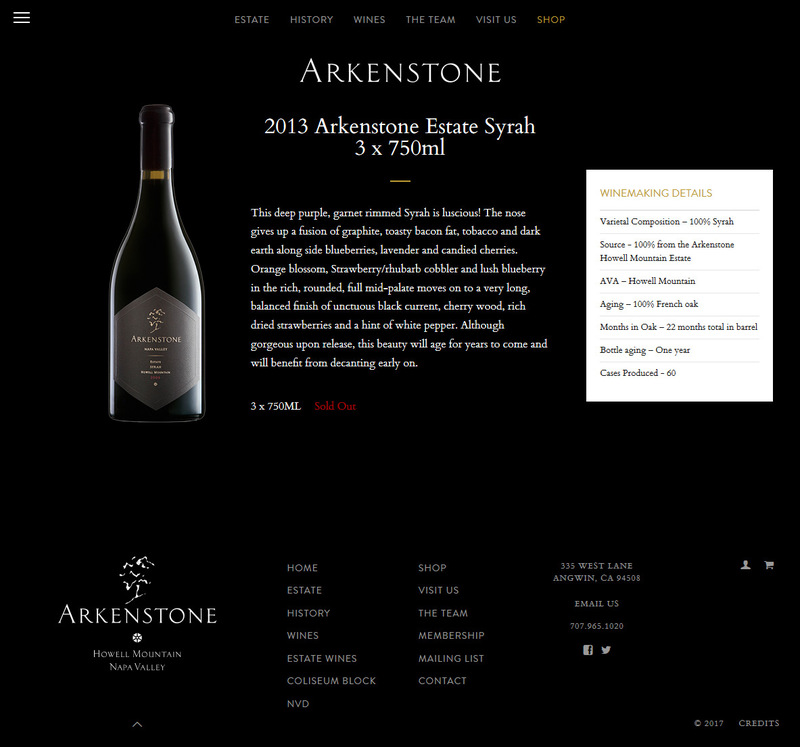 Express the Arkenstone brand as classic, exclusive, and passionate about quality. Encourage visits to the winery and participation in mailing list and wine club. Facilitate wine sales and allocations through VineSpring’s eCommerce platform.